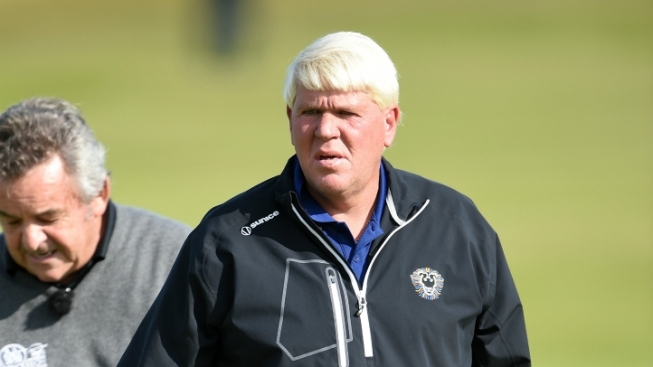 John Daly is not going to win the British Open, but he does have the designation of making the boldest NFL prediction of any golfer in the tournament--that we know, of, anyway. During a weather delay Saturday, Daly got on Periscope in his “Cowboys jammies”--some Cowboys pajama pants and a Cowboys T-shirt--talk to fans. At one point, he was asked who his favorite Cowboy was. 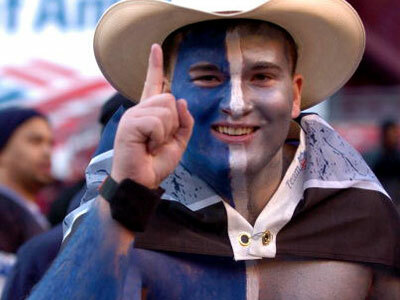 "I love them all," Daly said, per the Dallas Morning News. "Romo is my buddy. I'm glad we signed Dez Bryant. We have the best offense line in NFL football coming up and Darren McFadden is going roll. He is going to have over 2,000 yards is my prediction." That’s among the bolder predictions you’ll ever hear, considering that McFadden has only gone for 1,000-plus yards once in his career, and that was five years ago. But we like Daly’s support of his fellow former Arkansas Razorback. Do you, John Daly.